Since the end of the 2014-15 season, Cousins has become aware of Karl’s campaign to move him – including teammates telling Cousins, sources said. If it was the first time something like this was coming out against George Karl then maybe you give him a pass, after all, a lot of star players can be selfish babies. If it was the second player then maybe you start to wonder about Karl. But we’re talking a handful of former players with words about their former head coach. Strikingly similar words. WHEN THE GRASS IS CUT THE SNAKES WILL SHOW. Cousins is just 24 years old and came off his first career all-star season in which he posted numbers of 24.1 points, 12.7 rebounds, 3.6 assists, 1.7 blocks and 1.5 steals. Boogie is an elite, franchise talent and Karl is a 64 year old coach that was fired one month after winning his first Coach of the Year award in 2012-13. That alone should tell you something about him. This isn’t a tough decision, Sacramento. Give Karl the pink slip and show Cousins some support for once. Hard to see he and Cousins co-existing now after all of this and if the Kings choose Karl over a 24-year old stud then the franchise needs an ownership overhaul. 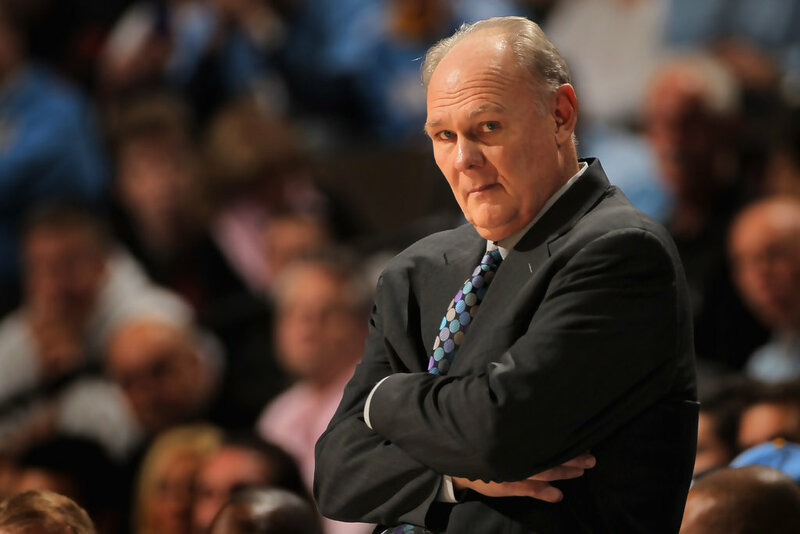 George Karl is out of his mind. Multiple sources have also confirmed that he has indeed approached the Lakers about trading Boogie. Yet he denied reports that he had. He has to go surely?